This is a De Stijl art movement slot together chair. It slots together with out the use of tools or screws. The main colours used on this chair are red, blue and yellow with black being the outline of each board. This is because it is made by the inspiration of the De Stijl art movement and in this style, only the primary colours are using (red, blue and yellow). I think the target audience is children aged 5-10 because the colours used are bright to attract children. 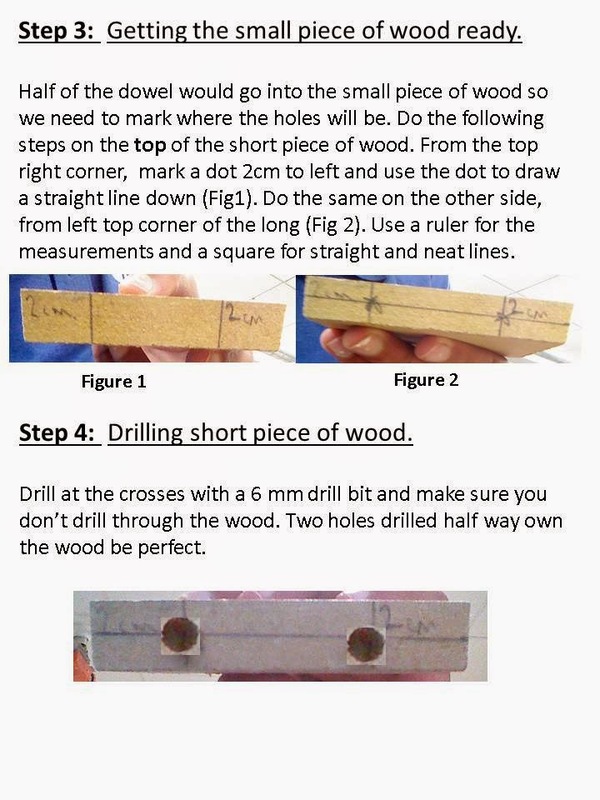 The shapes that have been used are simply squares and rectangles for the wooden pieces. I think this is because it is slot together furniture and it is easy to use simple shapes to make it work. Also the target audience is children so it will be used at homes. Therefore there is no need to make it stylish like office furniture. 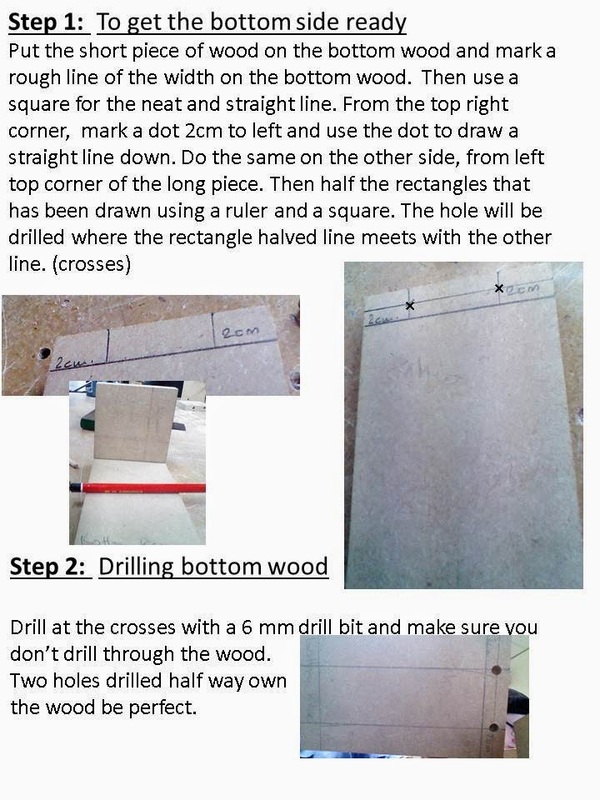 The material for the wooden pieces is MDF. This is because MDF is soft wood which would be suitable for children. Also it is not a heavy material so this would be easier for the children to adjust the chair. For example it can be taken apart and slot it together again. The finishes to this product would be the different colour painting to the wooden pieces. The painting is the main feature that makes it appeal to the target audience because the different colours make it attractive to the children. This product`s size is just for the children so it is small enough for them to use. The function of this chair would be to use it by sitting on it. Also the slot together feature makes it unique because it could be taken apart for some reason and then created again at different place. So it doesn't take much space when moving it. I think this chair is aimed at children aged 5-10 because the colours used are bright and varied. The designer has made this chair so it appeal to the children using the colours and the size. The colours used are mainly red, blue and yellow. These are bright primary colours and it makes the chair stand out. 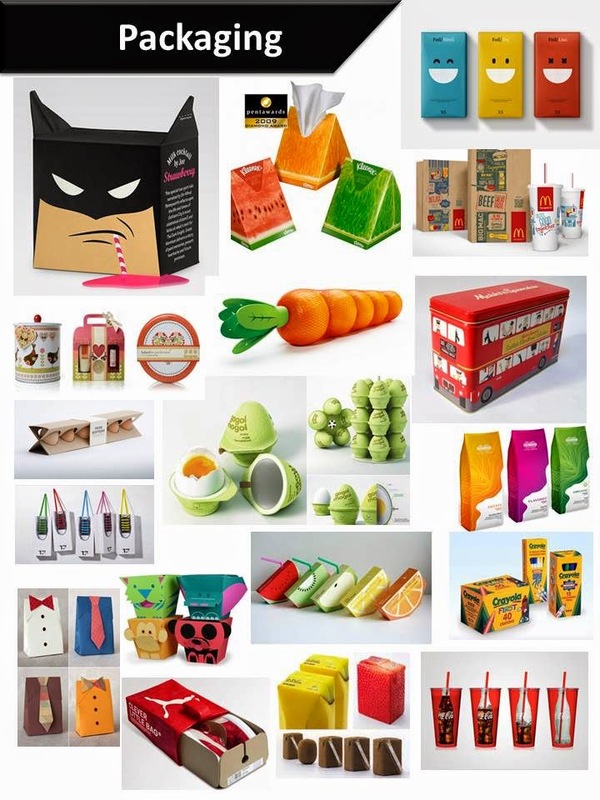 Also children in general find colourful items attractive as they stand out. So the designer has used the bright colours to make the chair stand out and appeal to the children. Also the the size of it shows that it is aimed at the children. It might not be clear in the picture but the height that it is available in is 42 cm. When an audience approaches it, it would be clear that it is for children from the small height of it. This chair could be improved in many ways to make it better. For example the main problem is that it is uncomfortable as the blue board is slanted quite up down. This would make the user sit on the chair uncomfortably with the legs bent. Also i would amend the design have manufacture a cushion on the back piece and on the blue piece so the users can sit comfortably. I would make my design attract to adult by painting it with simple colour, like black and white, and make sure it looks professional at the same time. The product would be like a office furniture. This chair is made of MDF, medium density fiber-board, a type of wood. I think then it is painted with colour to make it a Destijl product. This product is renewable because the wood is made out of trees and they can be planted again. However the disadvantage is that growing a tree does take long time. I think this material is suitable for this product because a chair is suppose to be strong to take on the wait of a person. This chair does this because it is made of wood so i think would is suitable for this product. Another option would be to create this chair from plastic but in a different design, like a office chair. However plastic is non-renewable so this wouldn't be good for the environment. Also the art movement would not suit on a office chair. There is not much for to it other than the painting. I think the wood cutting and shaping is done through CAM and CAD. This means that first the computers are used for the design and then it is processed to a machine for the slots. The last step would be to paint the boards with different colours required with the edges being black. I think this is made by one off product. This is because it needs painting by individuals for the finish touch. Also this product is not sold on big store, like Ikea. So this shows that there is small production to create these and are individually made. The aimed user of this chair is the children and to make the product suitable to them, there would be some measurements to take. The main ergonomics would be to make back, base and the height of the chair accurate. The back piece is important to be correct so that the user can sit and rest its back comfortably. The height is also very important because this determines if the users legs are going to be curled up, which would be uncomfortable or just perfect so that the feet just touch the floor. I think this product is safe for the target audience. 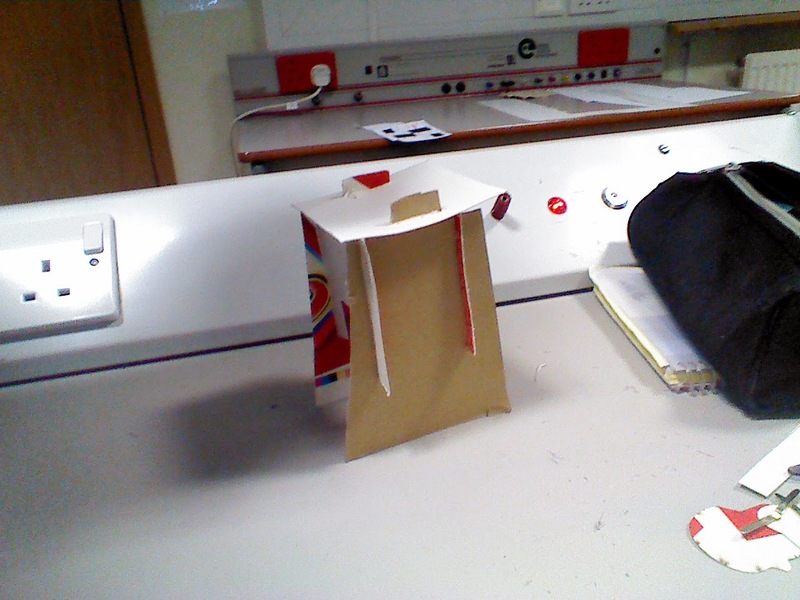 This is because the the material that is made out of is MDF which is not hard or heavy. This is suitable for children because they wont get hurt much and they could amend it themselves. Also the edges are curved and not sharp to again make sure children don get hurt in case of a accident. If it was designed for a different target audience, the size would need to be changed with different material in use to make it strong enough. The main function of this chair is to use it by sitting on it and relaxing. Another function could be to use it as a decoration because the De Stijl art movement is mainly for showing off and not much comfortable to physically use it. Above are imagves of the desgn idea made out of paper. The design looks brilliant for a table and the ergonom. My next step would be to choose a theme and procceed to amend the design and create it so it assocciates with the theme. The improvement the design needs is to make the knee gap large in term of the height and width. 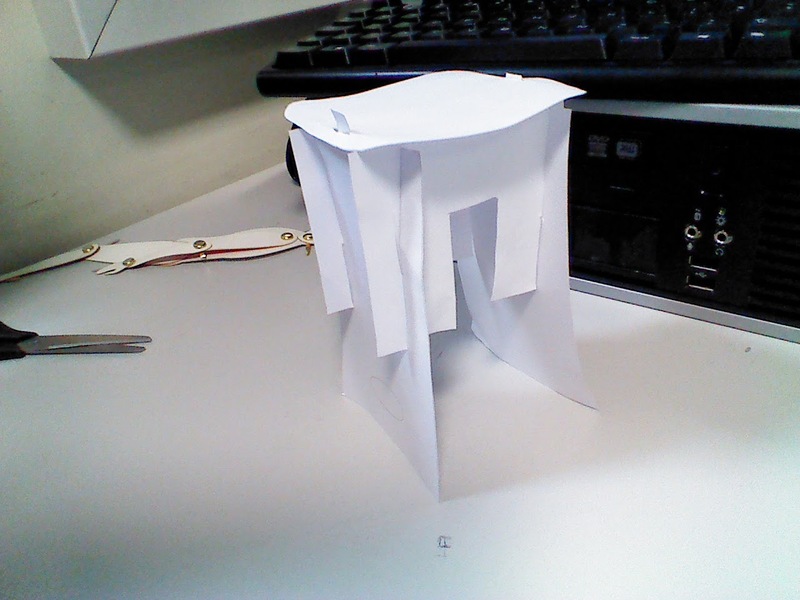 This will make the table more confortable for the user to sit beside. 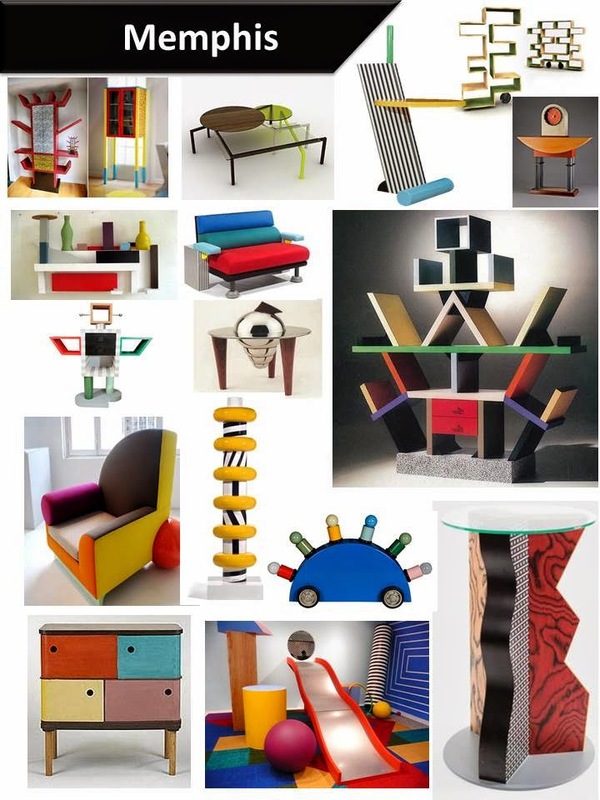 Memphis art movement is about the use of different bright colours with wierd shapes. For example one of the pictures above is a sofa which seems like it is cut in half. The use of cushions make it comfortable but the foot is a large circle. This is not normal for sofas and having a foot as a large circle is a weird shape, but still creative. 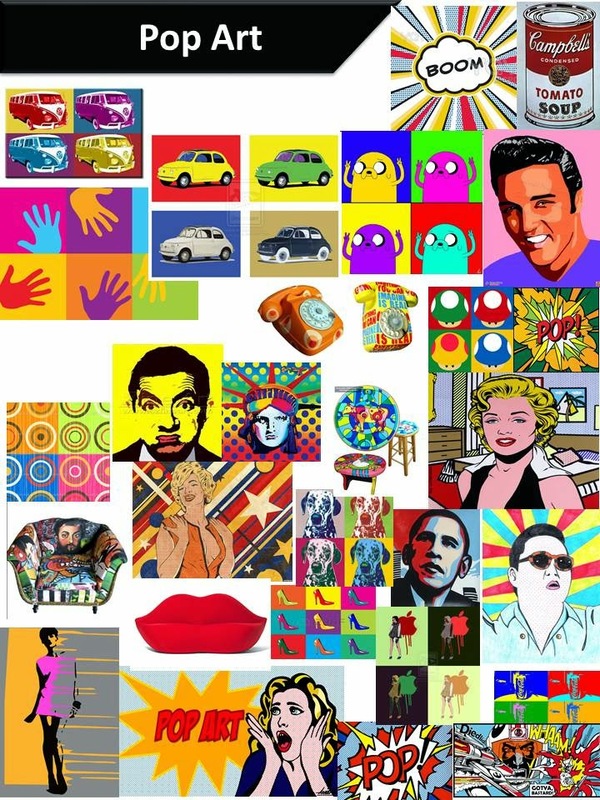 Pop Art Movement started in mid-1950s and in the late 1950s in United States. It involves use of bright and vibrant colours. It is not only popular for furniture but clothing. After reviewing both of the art movements, i have decided to do pop art for my design. This is because i like the energetic colours and want to have a image of a actor on my design. This is my design idea for the wooden furniture. This is first design that i would create on the Coral Draw considering the ergnome measurments. This is made out of cardboard used craft knive and metal ruler at the top of a cutting mat to prevent damage to table. The metal ruler is important for cutting because it is designed to prevent cutting fingers. The main point of this project is to make the design work using slots and nothing else. I have done this because this design can be rbiuld using the slots provided. 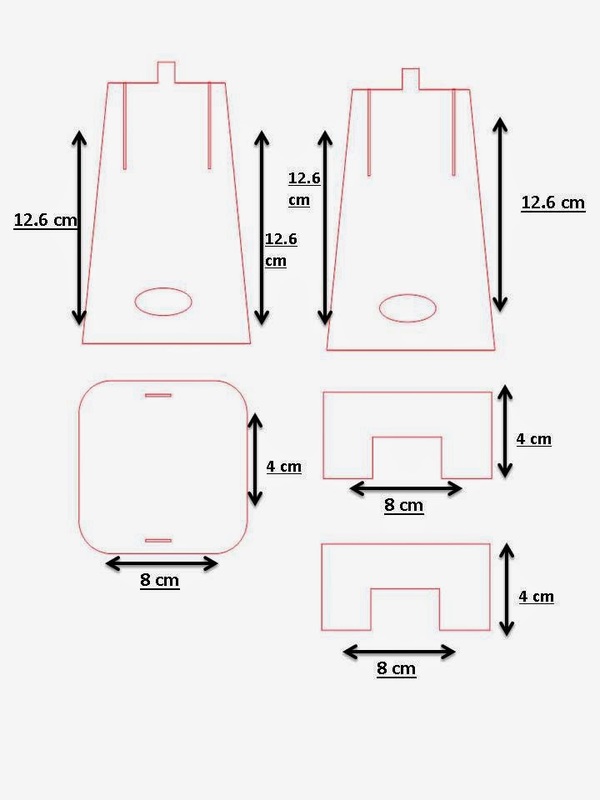 Above are the measurements of my design idea. I have used Coral Draw to design my final idea. As you can see, i have measired the lengths and heights, so it fits the ergonom. In the Ergonom post, i have worked out the meaurments needed to suit the ergonom so it can fit the furniture comfortably. 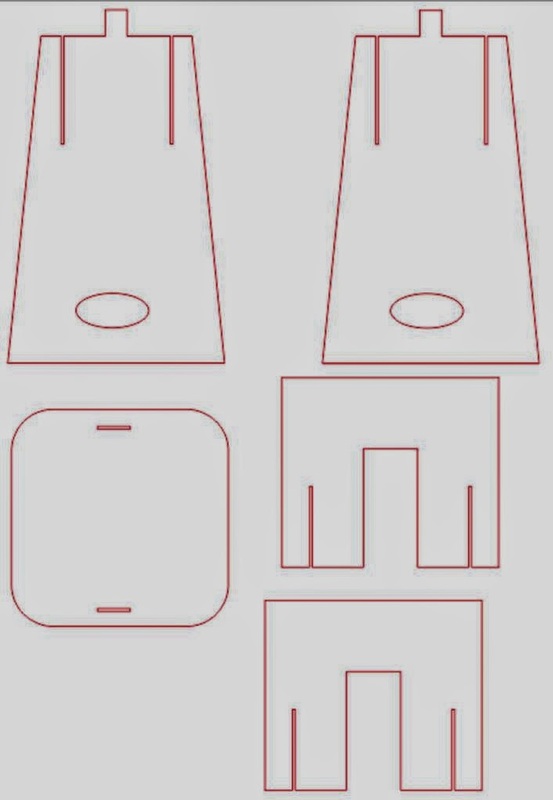 The first two images are the for the sides of the table, which decide the height of the table. This table would be used for the both reseaons of when the person is standing up and sitting down on a chair. I will be designign a chair to suit the table above. The half- rectagualr hole in the bottom to designs are for the knees of the ergonome. The knees of theergonome could be in the holes while sitting on a chair. 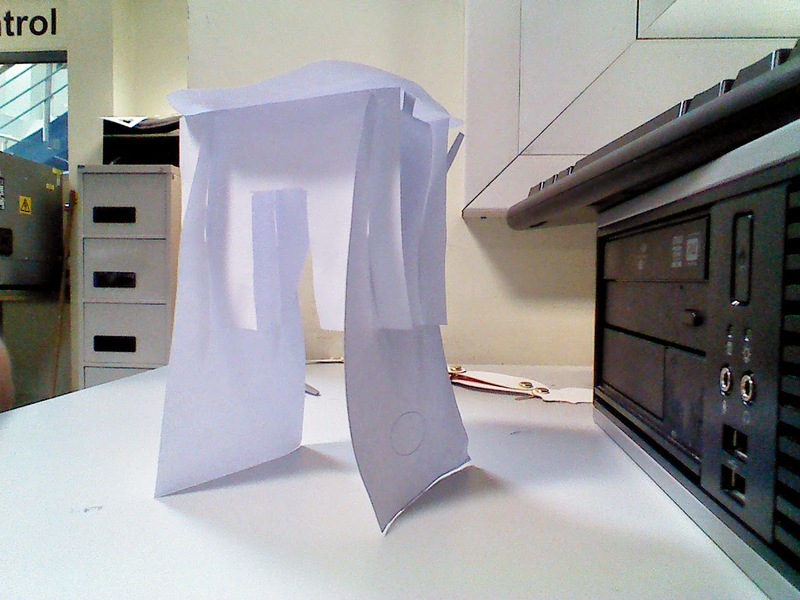 After talking to th teacher about the design, a problem occured. It was related to the two lond sides of the design and the two pieaces (bottom on the right). The problem was that after sloting together the pieces, it wont be secure and would move around. Therefore as you can see, the two pieces ( on bottom right) have two slots. This would make the table stable. 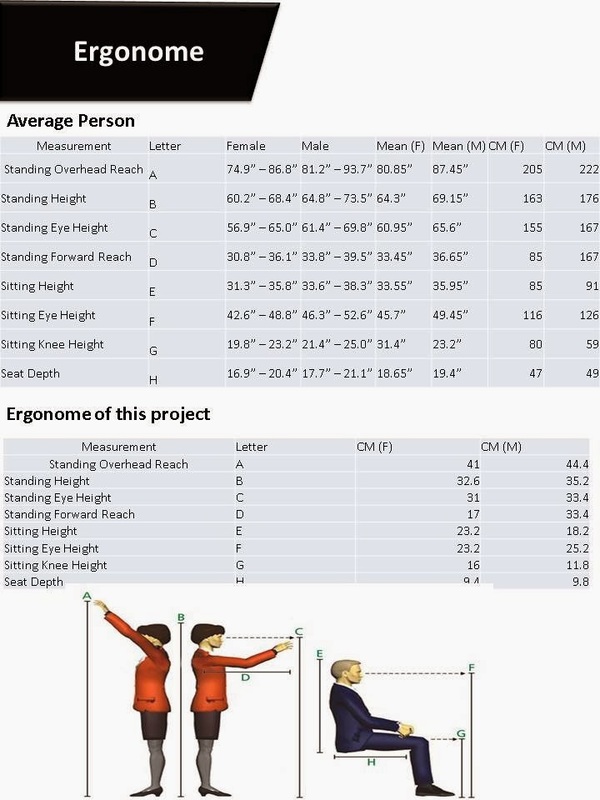 This is the Ergonome measurments and i have done it by deviding the average person measurments by 5. This is because i was told by the teacher that the Ergonome is the size of a person devided by 5. I would use this for the designs that i will be creating because it will make the design suitable for the ergonome given.